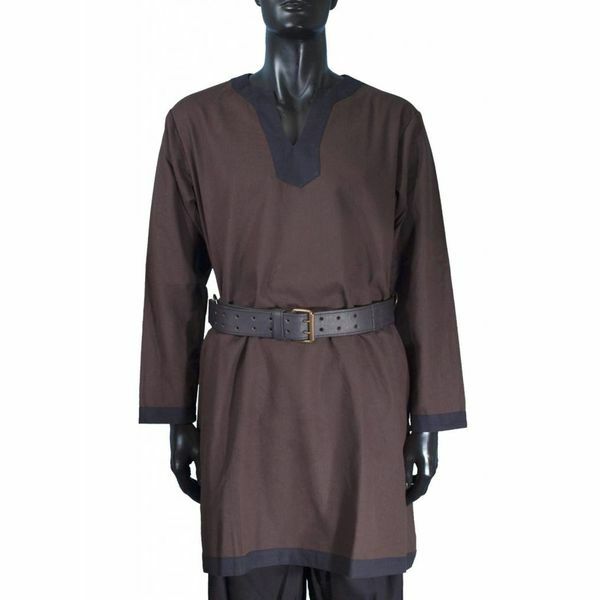 Tunics like this were basic garments worn by men all over Europe from the Early to Late Middle Ages. 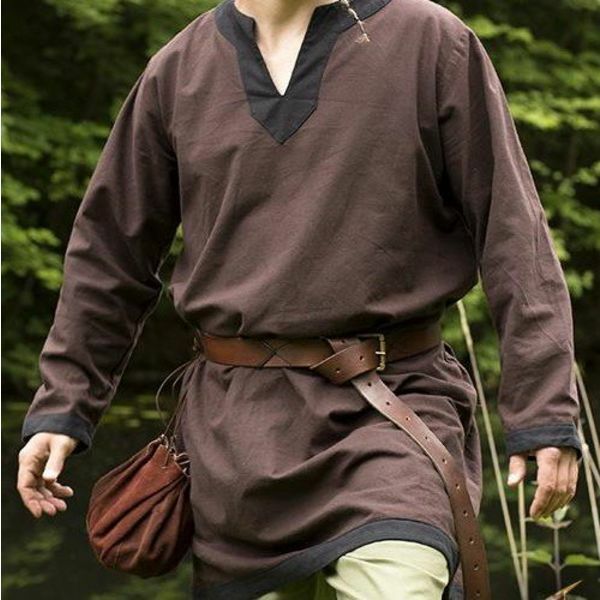 The tunic can be worn separately or as an undertunic with for example another tunic worn over it. 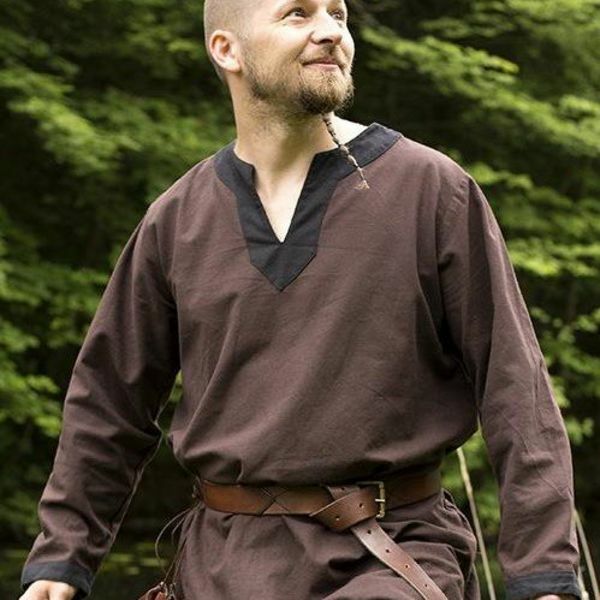 In colder climates they were combined with trousers and leg wrappings. Washing prescription: Handwash or handwash settings of washing machine. Size Chest circumference approx. Sleeve length approx. Total length approx.